This vintage 1970's style jacket shows no sign of modern high street. Black leather with ribbed cotton cuffs and hem. 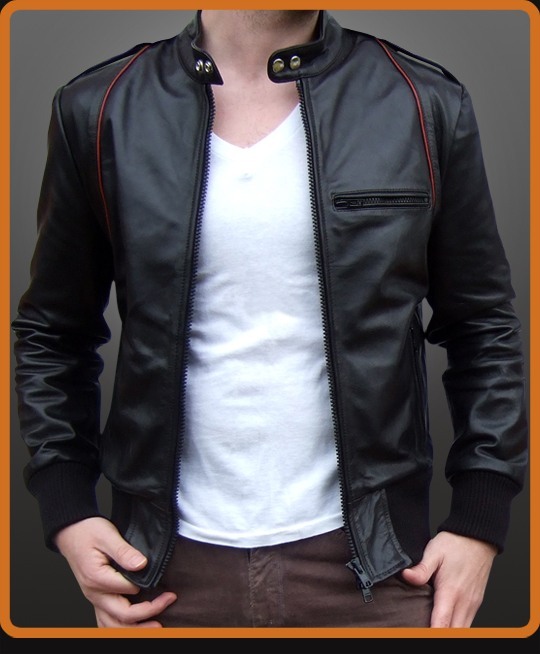 Lower zip front pockets, biker style collar and red piping detail. Shoulder epaulettes. Available in Black and Antique Brown.